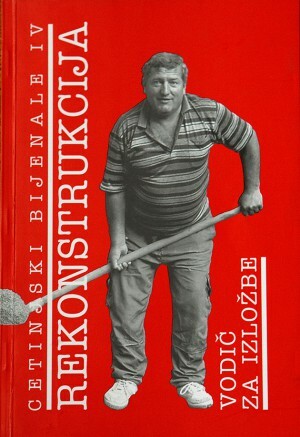 Over the years, the Foundation has linked its name with art exhibitions, mainly retrospectives, for Greek or Greek-born artists of international acclaim. This began in 1994, when the State Museums of Contemporary Art in Athens and Thessaloniki had yet to be established and there were no similar private museums, either. This activity is dealt with in the next and final chapter of this Anniversary Report as the sole area of productive action by the J. F. Costopoulos Foundation. In this chapter we shall examine the various other artistic activities we have supported and which have not been mentioned in other sections of this presentation. In the area of Music, the Foundation was one of the many benefactors who contributed to the completion of the Athens Concert Hall (the Megaron). Since then, we have supported the Megaron for various concerts, such as those by the Philarmonia Orchestra of London in 1993 or those by the pianist Apostolos Palios, whom we had supported for the completion of his studies in Germany, Hara Iakovidou on the works of Nikos Skalkottas, and Haris Vrontos for the dissemination of his music. 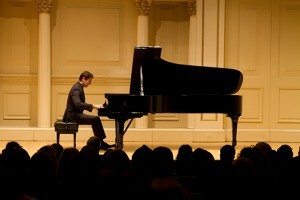 The Foundation has supported also the educational programmes of the Athens Concert Hall. In the same field, we have supported the Greek National Opera in the activities of its Chamber Orchestra, as well as major events outside Athens, including our systematic support to the International Music Festivals of Aegina and Paxos. We have been active also in the area of preserving and issuing on CD the work of such eminent Greek composers as Nikos Skalkottas, Dimitris Mitropoulos and Georgios Kasassoglou; one indicative example is the successful production of a CD with works of Nikos Skalkottas by Danae Kara. Moreover, we have promoted the work of such contemporary Greek composers as Thanassis Moraitis, Vangelis Petsalis and Efstathios Mavrommatis, who were supported to record their unpublished works. True to our principle of supporting not only classical and contemporary music but also projects for the preservation of our customs and traditions, we have provided regular aid to the Society for the Dissemination of National Music Simon Karas for the organisation of musical events, such as the annual concert commemorating the 29th of May which has been given continuously since 1930 or for the publication of books such as Simon Karas’ manuscript entitled Anastasimatario. In the same vein we have supported the Choir of Saint George Karytsis-Themistoclis Polykratis and the Melpo Merlier Music Folklore Archive. We promote also musical education through the activities of societies such as the Jeunesses Musicales de Grece, the Athens Choir and the local conservatoires and philharmonic societies of the Ionian Islands. In the field of dance, we have long supported the work of the Lyceum of Hellenic Women, mainly in Kalamata but also in other cities in Greece and abroad, and the Greek Dances-Dora Stratou Theatre for its shows on the Filopappos Hill. 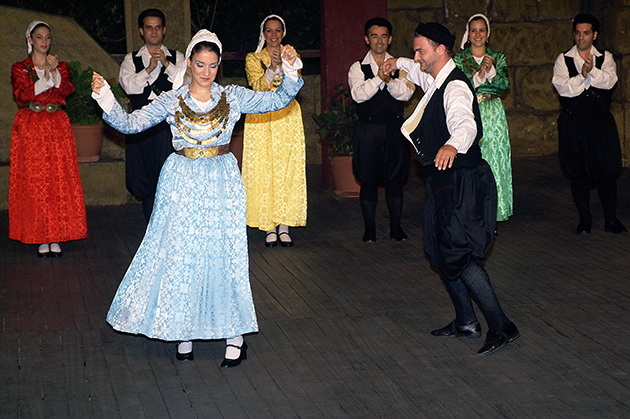 Both organisations promote the preservation of our traditions by studying, presenting and teaching dances from all over Greece, reproducing traditional costumes and recording songs from various regions of the country. It is worth noting that the costumes they preserve are not mere museum pieces, but are used in the major productions on Greek traditional themes they present annually in Greece and abroad. Apart from traditional dances we have contributed to the presentation in Greece of the avant-garde work of Greek or foreign choreographers. The best known example, due to our long-standing donation from 1998 to 2009, is that of the Kalamata International Dance Festival, which has become the top contemporary dance event in Greece and one of the major dance events in Europe. 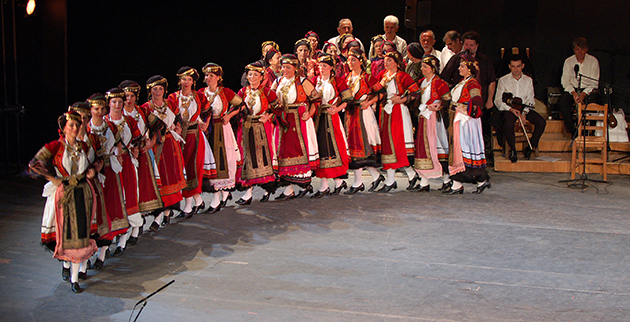 The Festival has presented 74 foreign dance groups, of which 53 appeared for the first time in Greece—among them Merce Cunningham, Trisha Braun, Jan Fabre, Philippe Decoufle and Jerome Bel—as well as 30 Greek dance companies, including Zouzou Nikoloudi, Dimitris Papaioannou and Konstantinos Rigos. It is worth noting that the Foundation has supported the early years of contemporary dance groups and contributed to this flourishing kind of art in the last fifteen years. These groups include Oktana, Sine Qua Non and Edafos Dance Theatre, from 1991 to 2003, whose performance Forever was choreographed by D. Papaioannou before he was commissioned to prepare the Opening Ceremony for the Athens 2004 Olympic Games. 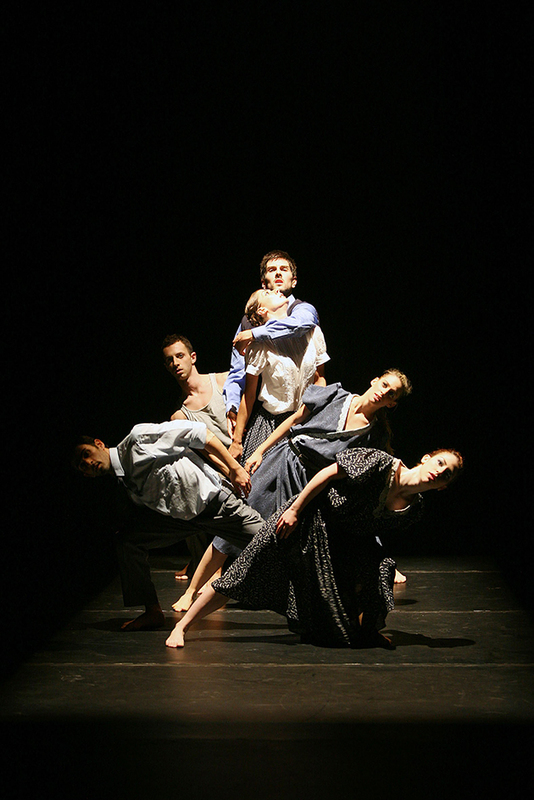 Similar support for more than three years has been extended also to other contemporary dance companies such as the Contemporary Dance Group of Persa Stamatopoulou, the Elix Dance Company, the State School of Dance and the Zouka Dance Company. Equally important, although more numerous, are the subsidies in the area of the Theatre. The Foundation aims to provide equal support to non¬commercial productions from the field of classical repertory and ancient drama and from that of contemporary and experimental theatre. We have supported the avant-garde efforts of both young and established actors in the productions of the theatre companies Morfes, Argo, Semio, Sfendoni, Spring Theatre and Notos. All these companies were financially supported for several years. Many young and active artists emerged through these ventures, and some of them have stood out on the Greek scene. Sometimes, the Foundation has supported initiatives which combine theatrical productions with education. One indicative example is the National Theatre’s Readings, which had started under the title Analogio Festival and presented new plays by established as well as younger playwrights. The Foundation’s support enabled the National Theatre to activate a mechanism of more than 130 artists (100 actors approximately and more than 30 other contributors), while the Theatre’s entire production department helped throughout these activities, from organisation and rehearsals to the final presentation. Another type of initiative for special young audiences combines entertain¬ment with charity work, such as that provided in hospitals by the New Art Scene of the Theatre of Neos Kosmos and which the Foundation supports, as we mentioned earlier. Another worthy case is that of the Greek Puppet Theatre which has created the bulk of its artistic work during the 1990s. Its productions are primarily addressed to children, but include adult audi¬ences, too. 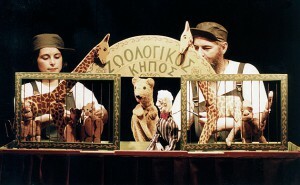 Additionally, the Greek Puppet Theatre, aims to organise con¬gresses and workshops on puppet construction and handling. In addition to music, dance and theatre we have supported various activi¬ties regarding photography, such as the anniversary retrospective on the 20 years since the founding of the Photography Circle in the Benaki Museum, and promoted growth in other, less developed areas of artistic expression which employ new digital or audiovisual technology. This category in-cludes a donation to t-SHORT, a non-profit company for the creation of a database and a digital festival for the promotion of short films. It is evident that the resources of a benevolent Foundation cannot extend to major cinematic productions. Nevertheless, we support the production of non-commercial films, short films, documentaries and experimental-cinema projects. 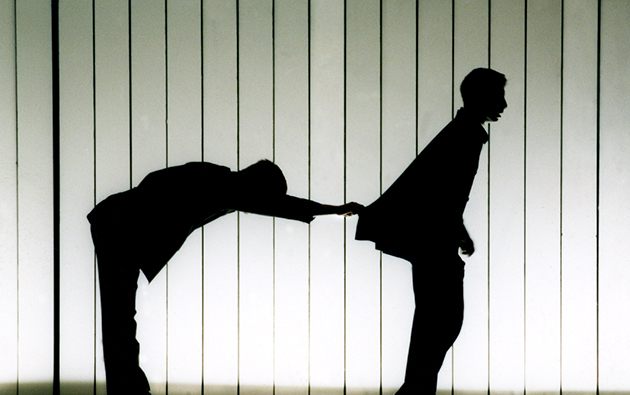 Our limited contributions in this field are often associated with actions we support in other areas. For instance, we supported the production of the documentary film The Journey and the Visual language of Jannis Kounellis as part of his solo exhibition aboard the cargo vessel IONION, the film of Tassos Rigopoulos on Lucas Samaras or the Portolanos Film documentary about the National Garden. Moreover, certain of our donations into research projects, publications or exhibitions of archaeological, Byzantine or generally historical interest involved the production of short films which we also supported. 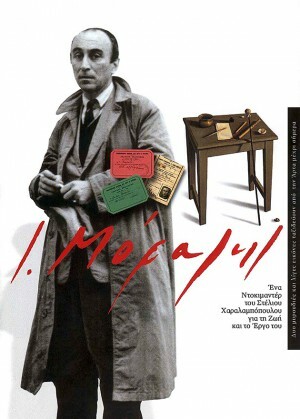 Indicative examples include The Hide, a documentary by Vassilis Kosmopoulos about the actions taken in Greece during World War II to conceal and preserve antiquities, or The Ring by Andreas Apostolidis, which was accompanied by the exhibition History Lost, financially supported by us, and later by a book with the same title. We supported also the production of Macedonia, The Hellenistic Civilisation as far as Asia, a film in which Photis Constantinidis presents Macedonia’s major historical role in shaping civilisation in Europe and beyond, during the period beginning with Alexander the Great and ending with Cleopatra, known as Hellenistic, according to Johann Gustav Droysen. Likewise, we supported the Notos Productions film Travelling in the Shadow of Byzantium, based on William Dalrymple’s book From the Holy Mountain. A Journey in the Shadow of Byzantium. 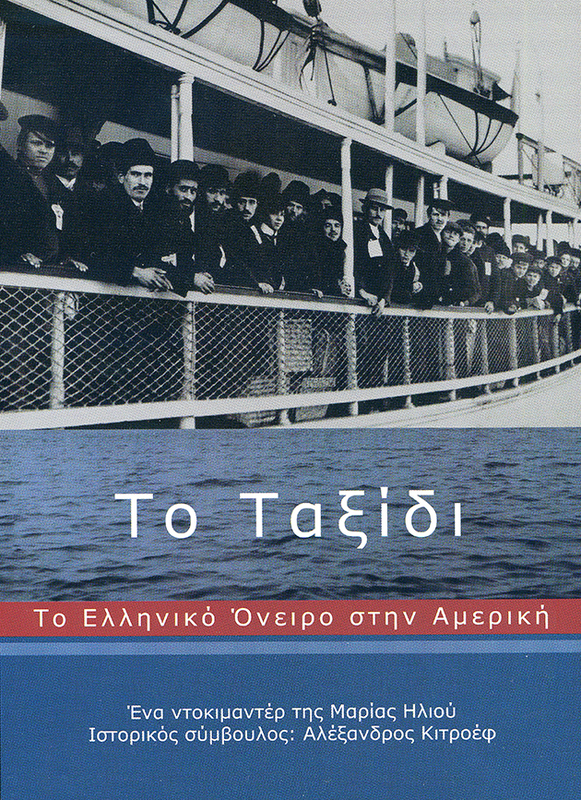 Also worth mentioning is our contribution to the production of The Journey: The Greek American Dream, a documentary film produced by the Proteus non-profit organisation and directed by Maria Iliou about Greek emigration to the USA from 1890 to 1980. Our brief look into documentaries concludes with the productions of Periplus, a company we have supported for its films Sinasos, Mediterranean Stories – which is about customs around the harvesting of grapes, wheat and olives in Greece, Turkey and Italy and shows the common threads despite the different religions in these countries – Yannis Moralis, Log Books – George Seferis and Meetings with Kiki Dimoula. The script and the directing of the first four films were by Stelios Haralambopoulos and of the fifth by Katerina Patroni. All these films obtained international awards. Aside from our support to the production of short films and documentaries we must mention also our aid to the Mediterranean Film Institute. It is one of the most dynamic and successful European initiatives which operates under the EU MEDIA programme and holds annual screenwriting seminars by distinguished academics and professionals for mainly young screenwriters and directors from Europe and the Mediterranean countries. We shall close this reference to filmmaking with a few words about directors whose work relates directly to the visual arts. Antouanetta Angelidi was supported in 1995 for her much-awarded film The Hours and in 2001 for the also prize winning Thief or Reality. 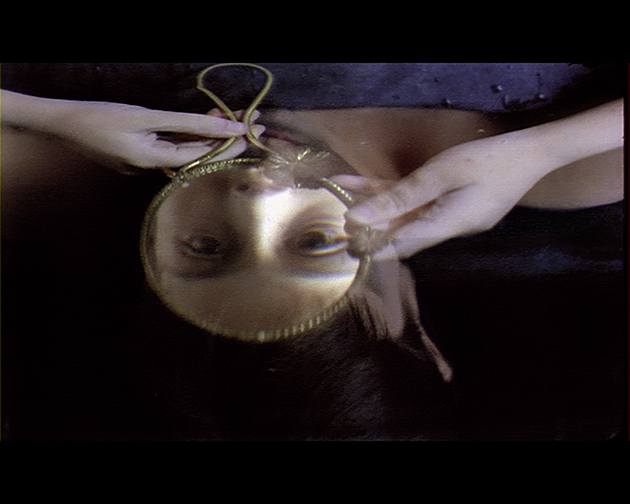 We supported the same filmmaker for the script of the film Medea / Kore, co-developed with Rea Wallden and shown at the 6th Avant-garde Film Festival in 2009. Katerina Thomadaki and Maria Klonari, who have always worked as a team, received a grant for restoring and digitising their work which was deemed to be part of the cultural heritage of France, the country in which they work and teach. Similar support was given to Temenos, a non-profit organisation formed to preserve the archive of Gregory J. Markopoulos and fulfil his vision by using original material from 1947 to 1991, to produce the film Eniaios—an 80-hour production in 22 cycles which include mythical narratives, portraits of intellectuals and studies of archaeological and architectural monuments. The first cycles were shown in 2004 and 2008 at Temenos, a locality near the village of Lyssarea, Arcadia. Apart from the art exhibitions we have organised or co-organised, the Foundation has helped contemporary artists to exhibit their work in Greece and abroad or represent our country in international art events. This is our most extensive activity in geographical terms, as we have supported the Greek participation in the Biennales of Sao Paolo in 1987, 1989 and 1996, Venice in 1988, 1990, 1993, 1997, 1999, 2007 and 2009, Cetinje in 1997 and 2002, Berlin and Sydney in 2004 and Alexandria and Ireland in 2006. 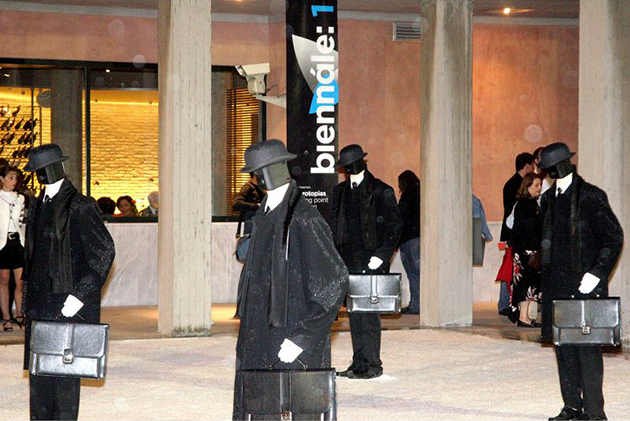 In 2007 we supported the organising of the Biennales of Athens and Thessaloniki. The artists in these events include, among many others, George Lappas, Thanassis Totsikas, Costas Varotsos, Vassiliki Tsekoura, Nikos Alexiou, Bia Davou, Vangelis Vlachos, Dimitris Alithinos. 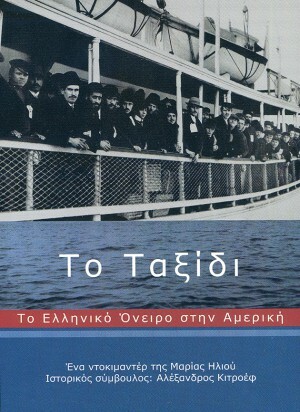 Documentary film The Journey: The Greek American Dream, by Proteus. Photography Circle, poster for a group exhibition on its twentieth anniversary. 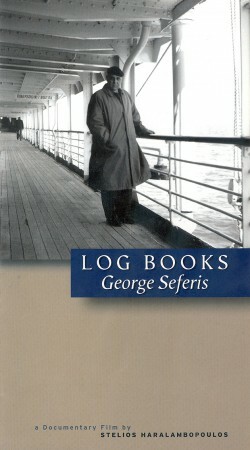 Documentary film Log Books – George Seferis, by Periplus. 12th Kalamata International Dance Festival, Emanuel Gat. 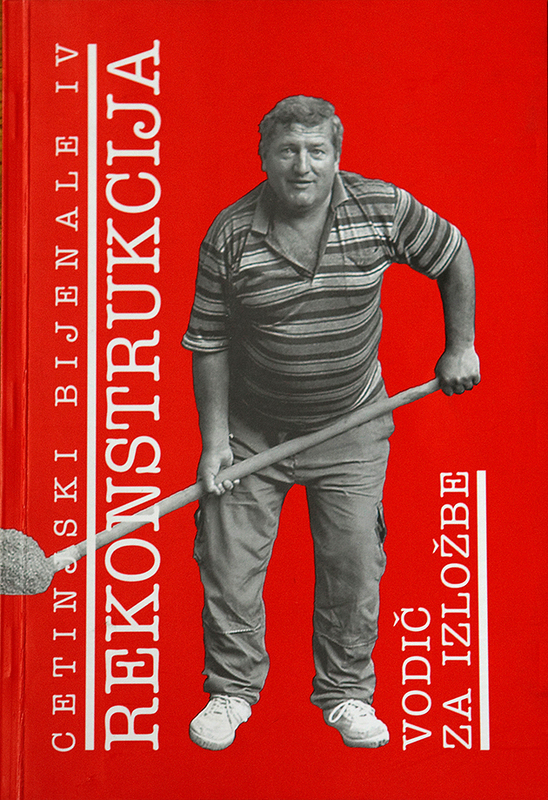 Greek participation in the 4th Cetinje Biennale of Visual Arts: Reconstructions. Greek participation in the 23rd Sao Paolo Art Biennale; Nikos Navridis, work from the series The question of the age of the void. Edafos Dance Theatre: Forever, dance performance. 1st Thessaloniki Biennale: view from the installation Black Birds by Vadim Zakharov at the Museum of Byzantine Culture.